The University of Wisconsin School of Medicine and Public Health (SMPH) invites applications and nominations for the position of Associate Dean for Public Health and Community Engagement. The Associate Dean for Public Health and Community Engagement will participate in leadership and service activities in the school, the university, the community and the health professions. The successful candidate will have a compelling vision for the future of public health in a leading research-intensive public academic institution with a longstanding history of engagement, known as the Wisconsin Idea. The Associate Dean for Public Health and Community Engagement will provide oversight of the integration of public health into all missions of the SMPH. The associate dean will provide leadership, guidance and assistance to the dean, senior associate deans, department chairs, and center directors. 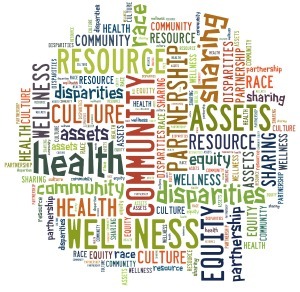 The Associate Dean for Public Health and Community Engagement will provide direct supervision and oversight of the Office of Rural Health, the Center for Urban Population Health (in partnership with their counterparts at UW-Milwaukee and Aurora Healthcare), and the Area Health Education Center (AHEC). This position will also provide advice and consultation to the leaders of the public health educational, service and research programs within SMPH. Candidates must have a MD, PhD, ScD, DrPH, or other relevant doctoral or terminal level professional degrees. If practicing MD or DO, board certification in the candidate’s area of practice and eligibility for a Wisconsin license are required. The vacancy is being announced simultaneously with PVL 96141 and 96143; please note that only one vacancy exists. Having two position vacancy listings allows the School of Medicine and Public Health to consider candidates with both tenure-track faculty credentials and non-tenure-track faculty credentials for this position. To receive full consideration, please apply by December 3, 2018.